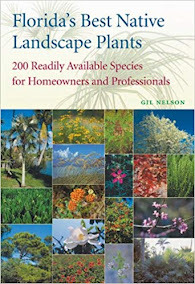 Book Review: "Best Native Plants for Southern Gardens: A Handbook for Gardeners, Homeowners, and Professionals" by Gil Nelson published by University Press of Florida. 2010. ~ ~ ~ ~ ~ If you'd like to win a copy of this fabulous book, leave a comment here on fnpsblog.org (not on FaceBook) about how much you would use this book. Leave us a way to contact you in your comment. We'll choose a winner from the comments. 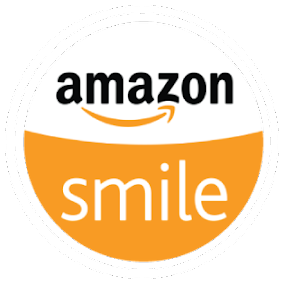 Thanks to University Press of Florida for sponsoring this contest. Post your comment by August 4th. 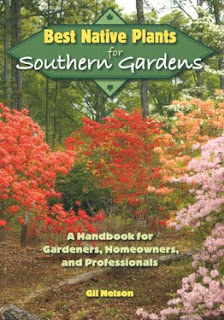 "Best Native Plants for Southern Gardens" is filled to the brim with important information on native plants and is a must for any serious gardener in the southeastern region of the country. 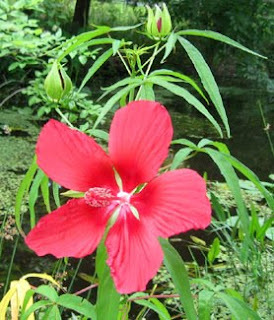 Hibiscus coccineus is native to Florida's wet places throughout the state. It's a tall herbaceous perennial and dies back to the ground in late fall after its leaves turn a gorgeous pale yellow and fall off. I have purchased several specimens at native plant gatherings and garden fests. They've all done well at the edge of our good-sized pond and have come back larger and with more stalks each year. 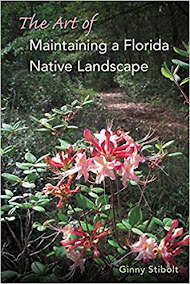 Although great strides have been made in gardening with native plants, a surprisingly large number of the approximately 2,800 plants native to Florida are overlooked or under-utilized by the gardening public, including native plant gardeners. One such plant is Acer negundo, commonly known as box-elder and, more rarely, as the ashleaf maple. 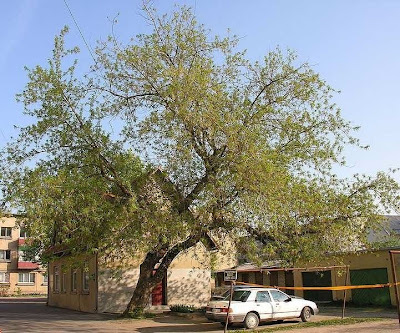 If you live within the natural range of box-elder, I hope that you will give this easily-grown and adaptable native tree a place in your garden, and I have summarized below the information on box-elder that is of most interest to gardeners. Habit: Short-lived, fast-growing, often suckering, deciduous tree with a low, dense, much-branched crown and principal branches that tend to hang down as they mature. Size: Up to 75 feet tall with a trunk diameter of 4 feet, but commonly 45–50 feet tall with a crown that is about as wide as the plant is tall. On July 15th, the Environmental Protection Commission of Hillsborough County declined to pass a summer fertilizer ban, as a number of other counties and municipalities have done. They did approve new regulations that prohibit the use of nitrogen-containing fertilizer prior to heavy rainfall and disallow use of fertilizer within 10 feet of a body of water, but this is small comfort to environmental advocates worried about surface water quality. The EPCHC's compromise measures won't do much to curb excessive nutrients flowing into Tampa Bay and polluting our area lakes and rivers, but it could be argued that a more stringent ban wouldn't have done much either. Not because there isn't a whole lot more fertilizer than necessary being used on Hillsborough County landscapes (mostly lawns), but because even if passed the new regulation would likely have received little or no enforcement. Several horticultural professors including Linda Chalker-Scott, Holly Scoggins, Jeff Gilman, and Bert Cregg, have teamed up to produce a most informative and scientifically accurate blog at http://www.gardenprofessors.com/. Restoration ecologists - you need us!, which analyzes the lack of advice on good planting techniques for the ecologists. Propagating in the air, which covers the latest methods for air-layering to increase the success of stem cuttings on hard-to-root species. Cornmeal myth busted, which refutes the effectiveness of cornmeal as a pesticide. I don't know about you, but I'd much rather garden with scientifically proven methods than old gardeners' tales, so I follow this interesting blog. 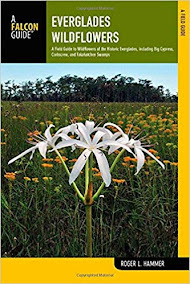 The American Meadow Garden : : Win A Free Copy of John Greenlee's Book! 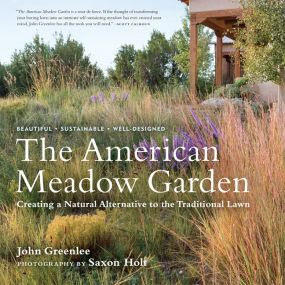 Billy Goodnick, fellow member of the Lawn Reform Coalition, Landscape Architect, and "Cool Green Gardens" blogger has posted a review of John Greelee's new book, The American Meadow Garden: Creating a Natural Alternative to the Traditional Lawn, (Timber Press) illustrated by Saxon Holt's luscious photographs. 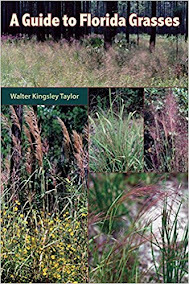 While this book is not specifically for Florida, I know I'd like to read it just for its ideas on meadow establishment and maintenance. Can you help a teacher plan, plant or maintain a wildflower garden at a school near you? 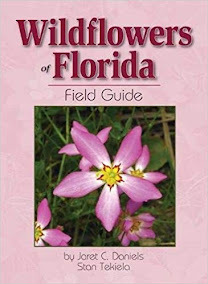 We are looking for Florida Wildflower Foundation, Master Gardeners, FNPS and Garden Club members to volunteer in the Foundation's Seeds for Schools program in the following counties: Alachua, Bradford, Brevard, Broward, Citrus, Clay, Collier, Duval, Escambia, Flagler, Hillsborough, Indian River, Jefferson, Lake, Lee, Leon, Levy, Manatee, Martin, Orange, Osceola, Palm Beach, Pasco, Pinellas, Polk, Santa Rosa, Seminole, St. Johns, and Volusia. For the names of participating schools, email Claudia Larsen, Seeds for Schools program administrator, at SFS@flawildflowers.org. Wildflower garden projects will begin in September, so please consider volunteering now. Your participation will enrich the lives of Florida’s future generations while introducing them to native plants and wildflowers! 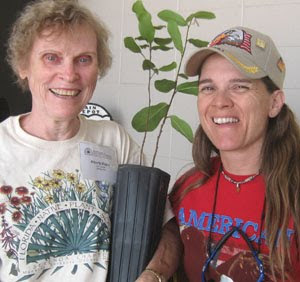 As I traveled to the various Florida garden festivals this spring, the one vendor I encountered the most was Terri Pietroburgo, with her baseball hat, her wagons filled with paw paws, and her enthusiastic spiel on her favorite native plant, the paw paw. She apologizes, in advance, to the vendors stationed near her for the repetition. 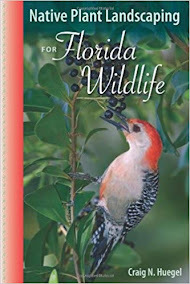 She was at Heathcote Botanical Gardens, Vero Beach Garden Fest, Marion County Spring Fest, the Wildflower Festival in Deland, the EPIC Garden Fest in St. Augustine, the Spring Fest in Winter Garden, and at our own FNPS meeting in Tallahassee. I'm sure there were more events that she attended, that I did not. She takes great care to explain how important paw paws are as the only larval food source for the zebra swallowtail butterflies. She describes how the fruits taste (It's one of our few native fruits. ), how large the plants will get, and most importantly how to plant them so that they'll survive. Frequently this is question I am asked after suggesting a visit to one. 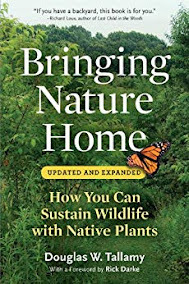 People who are considering “going native” want to know how the plants they are considering will look once they are actually in a garden. Pictures in a book are helpful, but nothing compares with seeing a real, live plant, especially one that has been put into a contextual setting. 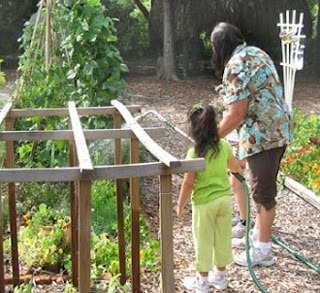 So what IS a native plant demonstration garden? I recently talked with Jane Thompson, the owner of Indian Trails Native Nursery in Lake Worth, who has been working on hers for many years. Jane, in your mind, what is the purpose of a demonstration garden? The purpose of the demo garden is to display Florida Native Plants in a mature form. My garden is split between three plant communities showing typical species that you would find in a Coastal Maritime Hammock and a Pine Flatwood. A large section is also designed as a butterfly garden. What have your major successes or problems been?